New Horizons Animal Wellness Center represents a new, and unique, approach to pet care in Columbus, GA and the surrounding area. The primary objective is to optimize the health of each patient through pro-active means by incorporating a blend of conventional veterinary medicine and Traditional Chinese Veterinary Medicine (TCVM) as well as other complementary modalities. Premier Chiropractic is the the only facility of its kind in the Columbus, Georgia, area that specializes and focuses on Structural Correction. We use state of the art methods to analyze and identify the primary structural shift. To better understand how we are different from traditional chiropractic explore our site by using the links to the left. Novo is the product of a dream, intense training, and passion. Located in Columbus (Midland), Georgia, it is a 100% LOCALLY OWNED AND OPERATED, licensed studio, and intimate fitness boutique that strives to provide a UNIQUE AND PERSONAL fitness experience for people of every fitness level. It’s diverse offerings provide a workout opportunity that is unparalleled in other fitness settings. 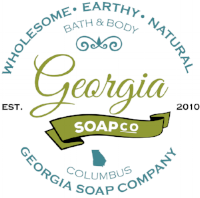 Georgia Soap Co. was originally founded as EarthBaby Soap Co. in 2009 in Columbus, Georgia by Kevin and Bonnie Reherman when our daughter (“The Original EarthBaby”) had developed a bad case of eczema. GEORGIA'S MOST UNIQUE FITNESS & WELLNESS CENTER. Features 80+ creative FIt+Fun Classes and Yoga of all styles, for all levels of ability, with childcare for almost all classes. Hot Yoga, Beginners Yoga, Power, Yin, Deep Stretch, and more. Aerial Silks and Lyra, Pole, Barre, Pilates, Bootcamps, HIIT and Abs. Also home to The Body Lab, offering pain and posture assessments, therapeutic massage, assisted stretching, and practical body education for all ages. 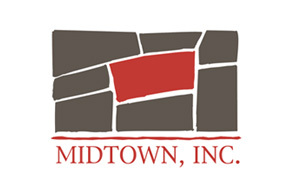 MidTown, Inc. advocates, partners, facilitates, listens, educates, mediates and celebrates. We work to build community, to sustain and revitalize neighborhoods and to grow and strengthen the MidTown business community. We build community by bringing people together in celebration and conversation. We build community by partnering to enhance our physical place, and creating more walkable, bikable streetscapes that connect neighborhoods, businesses and greenspaces.